If a spiral staircase is not the answer, yet you still desire something more attractive than a standard set of fire escape looking stairs, the answer may well be either a combination or straight cast staircase from our stunning cast aluminium range. 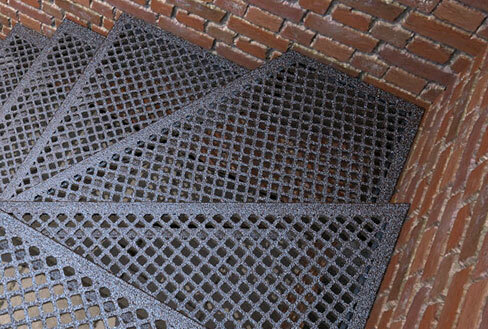 These staircases are excellent for external applications, as the open patterns in the tread tops allow dirt and water to pass through without causing a safety hazard. Not only are they practical but they also add a certain statement to any property. 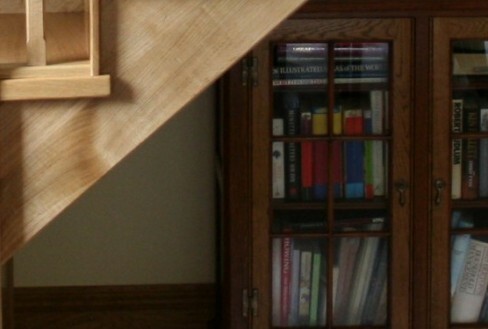 Using our superior materials, our range of traditional Victorian, LCC or Diamond straight stairs are usually manufactured in 700mm, 800mm and 1000 mm widths, but can be made to any width you require. 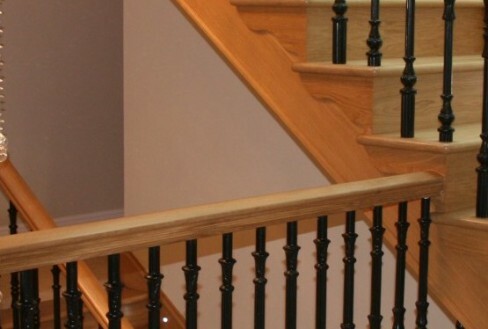 Built using a cut string, the Straight Cast Staircases offer an elegant and delicate alternative to the more traditional fire escape type stairs. 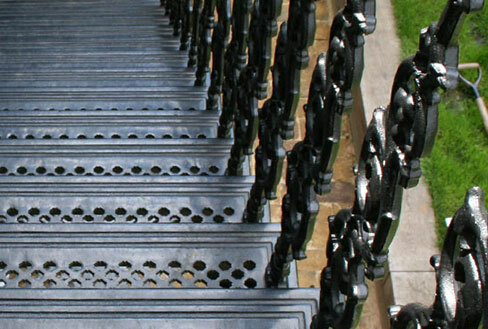 British Spirals & Castings can design any combination staircase for both internal and external applications. This type of design is particular useful internally when you are accessing a room with a sloping ceiling and limited headroom, or externally when you need to change levels in limited spaces. 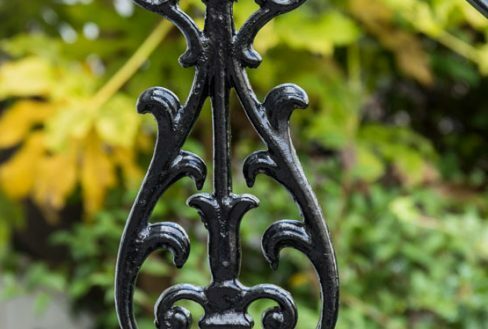 The LCC kited staircases are very popular in tightly controlled conservation areas, such as Kensington and Chelsea, and provide great access to traditionally built airies, lightwells and basements.